Interested in combining your undergraduate degree with a master's degree? We have an integrated program designed for our current mechanical engineering undergraduate students. The Integrated master’s/bachelor’s program (IMB) is an exciting, accelerated opportunity for current mechanical engineering undergraduate students who excel academically and want to pursue both degrees. You may apply for admission to the program at the end of the first semester of your junior year and must meet the department's requirements for graduate admission. 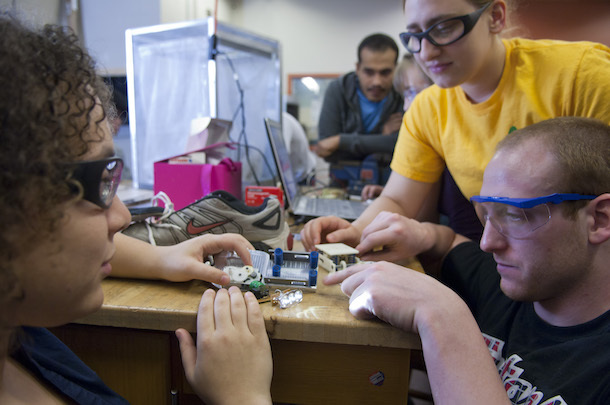 Hands-on learning experiences prepare today's students to be tomorrow's engineers. Schedule a meeting with your academic advisor to talk about pursuing the integrated master's/bachelor's program.